As the 2 hurricanes washed over Florida and Texas respectively, halloween seems to be a distant plan for us. Here are easy tips to follow for this years Halloween. We are all left with broken dreams! That’s the only thing we can say after the Harvey and Irma attacks. People went homeless, streets got wrecked, our hopes got wasted. Such disasters can only be caused when Satan gets hungry and angry! Now the ‘All Hallows Eve’ is here with Florida and Texas having a good reputation of celebrating the Halloween night as best as it can get! Those of us who believe in supernatural existence should gear up to ward off the evil spirits. But this year the budgeting will be tight for us, as we have already suffered huge loss due to those devilish hurricanes. You should not take Halloween as a priority this year. If you think managing debts, insurance deductibles, and house repairing costs are battering you hard, then you can seriously skip Halloween this time. But, you can understand this, and not your children. It’s hard for them to accept that Halloween can be skipped. So sit down with your child, and tell how things are going difficult for you, and hand over to him/her a bar of chocolate. A lot of homes just got destroyed. The price to compensate the loss is huge. As per the recent stats, only 20% or a little more of the victims had flood insurance. So, many people were struck financially due to Irma and Harvey. Even though FEMA(Foreign Exchange Management Act) and USDA(United States Department of Agriculture) are taking several steps to help the hurricane victims, still if we don’t help ourselves, who will? So this Halloween, make the event worth it! Plan with your neighbors to raise some funds with the trick or treat move! If we all can give a little from our side, then together we can help the financial condition of the hurricane victims quite a bit. To be serious, many people died this year due to the hurricane! We can surely dedicate this year’s Halloween in memory of those. If there are families, in your locality, that suffered demise of their loved ones, then you all can make a plan for those, that will be remembered and praised forever. I hope you know what Halloween actually signifies. It’s the time when a connection between the human world and the spirit world is established. People dress like devils and ghouls to confuse the spirit world. The Jack-o-lanterns are believed to guide the evil spirits into the path of enlightenment in the All-Hallows-Eve! 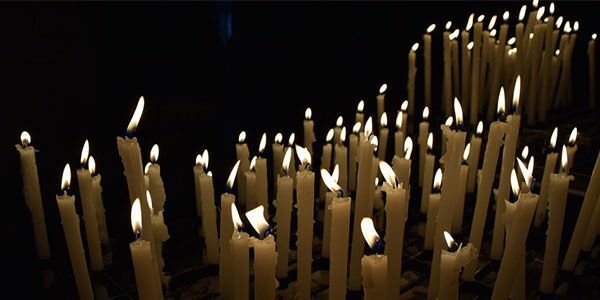 So, together with all the victims in your area, you can plan a special event to pay respect and offer prayers in the memories of those who left us. This year, the Halloween is not about dressing up freaky, drinking wine and having fun. It’s way more than that. I guess you can understand why I am adding this tip to this article. Make a cost-effective social gathering as an act of remembrance! Guess you are surely left with apparels, electronic goods, and other stuffs that you can no more use after the hurricanes. These goods that are rejected by you, after retrofitting and mitigation works, are not completely useless. You can sell them at least for some price. Go to the thrift stores that sell items similar to your crash list!. Sell them, and in exchange you can get your goodies for Halloween! You see, as the present condition goes, every penny matters. So, if you can make 10$ from broken window blinds, then I count it as not bad. Also, these thrift stores have pre-used costumes in good condition. Purchase them for your kids at a negotiable price without hurting your pocket much! It is highly unusual that this year you will be planning some grand events at your place. Even if you haven’t suffered much from the hurricanes, your costly actions can hurt other people’s sentiments. What you can do instead, is plan for a social gathering in your neighborhood, and together celebrate the evening with contributions coming from all the sides! This way, you all can enjoy with no one being left out, yet it can fit well into your budgets too! Also, our children will get a break from all the hurricane disasters they had to face at this little age! These were the basic tips that I could have given to you. To be practical, this year is not meant for celebrations. So, even though you can’t forget and forgive this strange act of God, you can rub the pain a little with scented candles, tasty wine, and lip-smacking foods! Oh! Yeah and chocolates. They are proved to release happy hormones. So make use of them this Halloween!